Our staff is getting ready to celebrate Independence Day with our families here at Archadeck of Central SC. We hope all our customers are busy planning their outdoor festivities on their backyard decks with barbeques with friends and family. At Archadeck, it’s an honor for us to know that we are an integral part of your summer holiday celebrations. 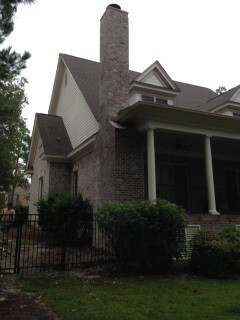 It’s with great pride that we know our design and building expertise leads to your outdoor all-American fun. We know how to celebrate the Fourth in Columbia, SC, so one day just isn’t enough to pack in all the fun. We start the festivities on July 3rd at historic Fort Jackson with an entire day of festivities. It all begins at 8 AM with a run/walk and a twelve mile bike ride at Hilton Field, plus a whole host of other activities that are family friendly. At 4 PM the kids will have a blast on rides and games; and if great music is a must on your list then enjoy Eric Mayweather and the Finesse Band and Fort Jackson’s 282nd “Rock Band” kicking off the musical entertainment at 6:30 PM. At 9 PM a cannon salute to each state in America and a 30-minute fireworks display cap off the evening. Also on July 3rd, Saluda Shoals Park will feature the Lake Murray Symphony Orchestra from 6-9 PM. 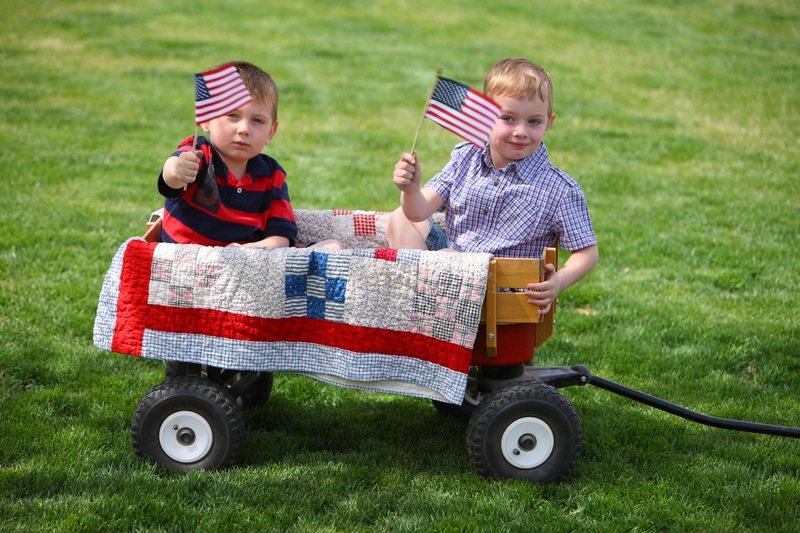 This is an all American outdoor celebration of family fun, so bring a blanket and your lawn chair and enjoy games for the kids, fabulous food, and a rousing dose of patriotic music. On July 4th from 12 noon-3 PM, you must check out the Patriotic Boat Parade at Lake Murray. Water vessels of all kinds are festooned in patriotic glory with flags waving and people cheering. This year the event hopes to enter the Guinness Book of World Records by hosting over 150 boats. Be sure to be part of this historic moment! Of course no Independence Day evening is complete without a bold fireworks display, and we sure know how do to it big in Columbia. 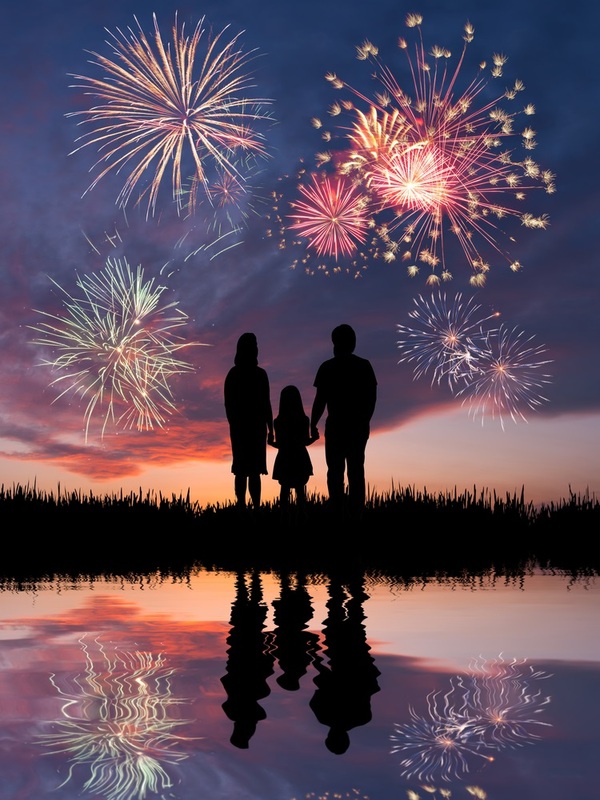 Beginning at dusk (9PM), we host South Carolina’s largest fireworks display on beautiful Lake Murray from two locations: Spence Island and Dreher Island State Park. Watch fireworks timed to patriotic tunes that truly get your love of America stirring. If staying at home on July 4th is more your speed, then we know that you’ll likely be enjoying it in your backyard. If you are not exactly happy with your current backyard decking design, do give us a shout so we can help you design an outdoor extension to your home that will add value to the way your family truly lives. 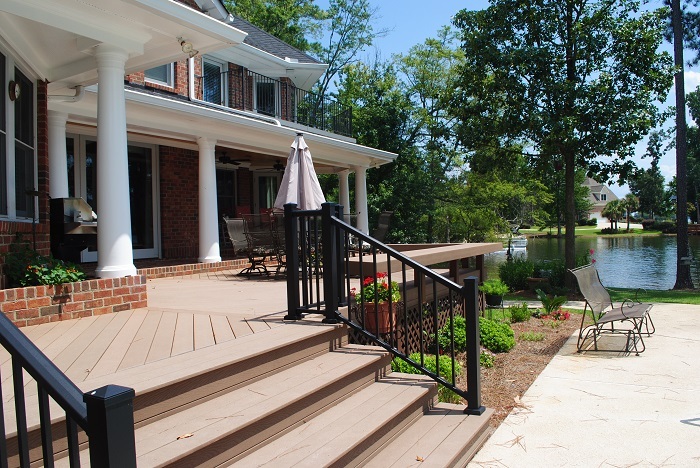 We can build a deck and accompanying outdoor structures that fit your lifestyle and your budget. There are so many benefits to a beautiful and practical outdoor living space—whether it’s a hard-working entertainment space with a built-in kitchen or fireplace, a place for your family to get healthy fresh air and get closer to nature, or a quiet spot for stress-free relaxation. Most of our customers simply want a great area for dining and hanging out with friends, surrounded by the trees, and we can accommodate that easily with a custom table and built-in seating. If you have a storage issue, we can design a space to stow all your tools and yard gear. Should privacy be of concern to you, we can create a quiet oasis that keeps neighbors away from your serene setting. Don’t be deterred if your yard has a steep grade, we can also help design a deck with landings or stairs that attractively and safely take advantage of a sloping property and makes it more usable. 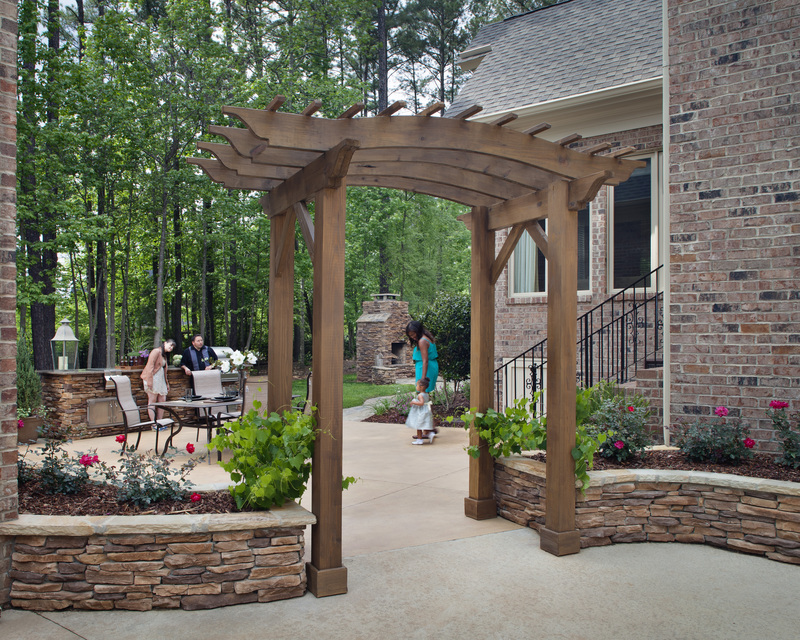 A great pergola or porch is a fantastic way to provide shade on a deck without the use of pesky umbrellas or ugly awnings. There isn’t a problem that we can’t solve with a well-designed deck. 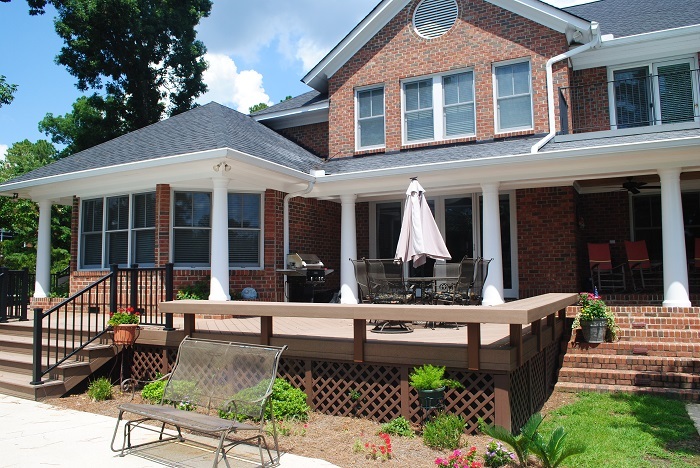 Archadeck of Central SC is proud to be part of the Columbia market, and we’ve been thrilled to have had the opportunity to work with our residential customers to help them realize their backyard deck dreams. 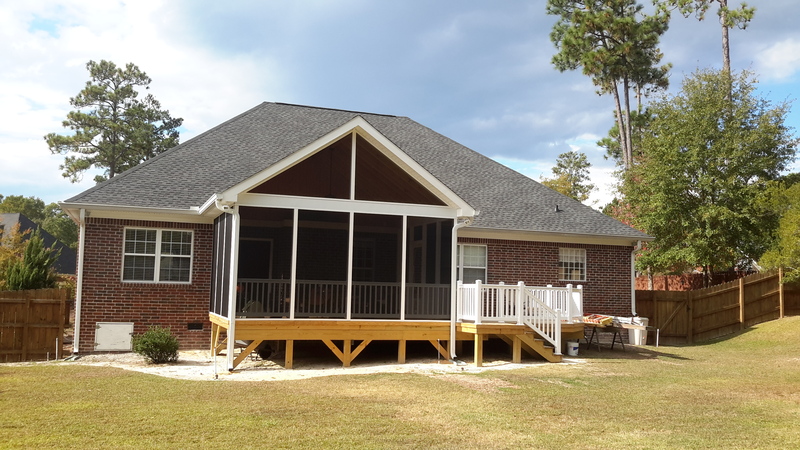 We are truly grateful to the community for embracing us and relying on our backyard building capability, and for helping us become the top deck builder in Columbia, SC. If you are considering a deck addition for you and your family in the near future, we can provide valuable insight on getting started with a design that meets and exceeds all your expectations of what a custom outdoor space should be. There is no charge for a consultation, so contact us Archadeck of Central SC today at (803) 603-2160, or email us at centralsc@archadeck.net. This entry was posted in Deck design, Decks, Lakeside outdoor structure designs, Outdoor fun, Outdoor Kitchens, Outdoor Living and tagged Archadeck of Central SC, Archadeck of Central South Carolina, Central SC combination outdoor living spaces, Central SC outdoor kitchens, Central SC outdoor living combinations, Central SC outdoor rooms, Central SC versatile outdoor living spaces, Columbia SC outdoor kitchens, Making your Columbia SC dream backyard a reality on July 1, 2015 by archadeckofcentralsc. Maybe you have heard the old adage that “good things come in threes.” In writing, the rule of three suggests things that come in threes are inherently funnier, more satisfying, and more effective than other numbers of things. This may be true in other areas, too, but when it comes to creating the perfect outdoor living space, we feel two can be just as satisfying. 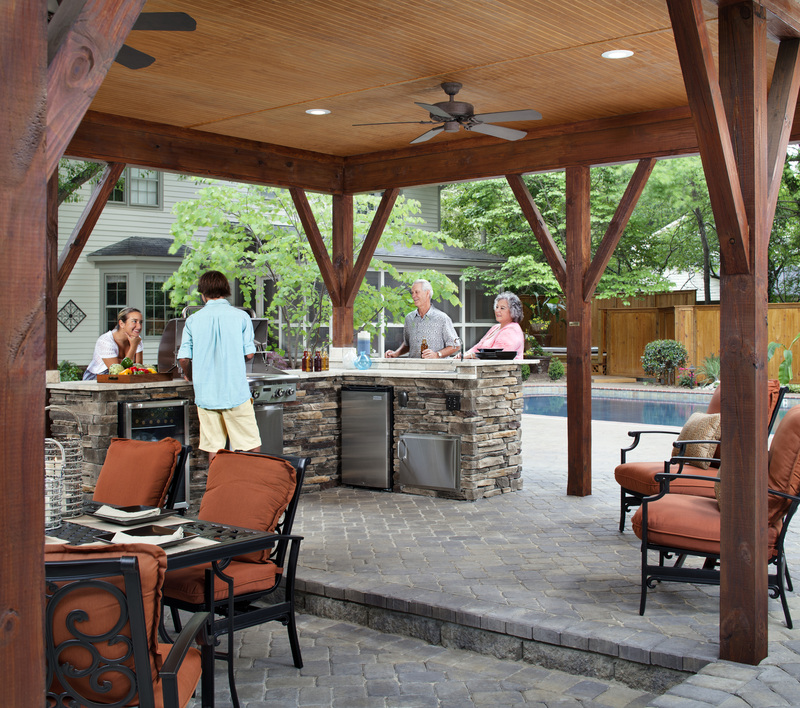 Designing beautiful, functional, quality outdoor living spaces is what we do best. In our experience we have discovered that one of our most requested pairings to enhance outdoor living is a deck and screened porch combination. This combination is wildly popular because it delivers the best of both worlds: an open air space for soaking up the sun, entertaining, and grilling outdoors and a protected space. The options available in our custom deck designs are as endless as the imagination, from integrated seating, planters, lighting and pergolas to outdoor kitchens and fire pits. 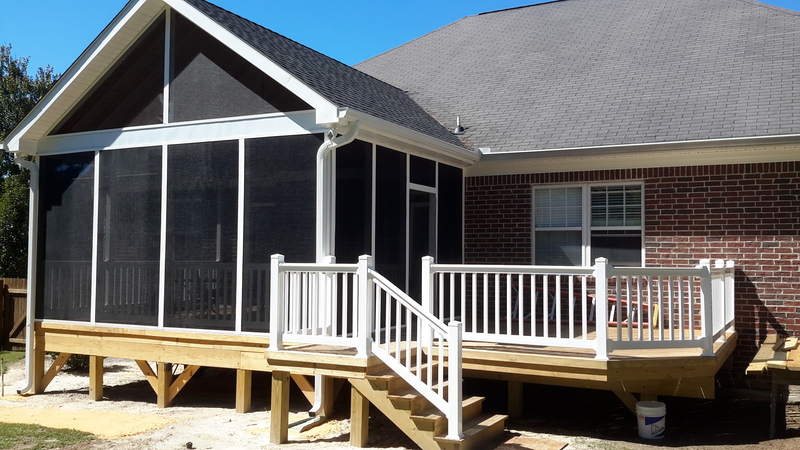 When the weather is less favorable, having the luxury of a screened porch will allow you the freedom to move the fun inside your protected porch. 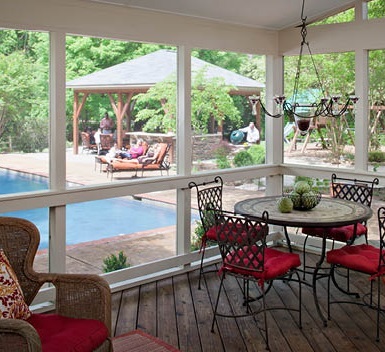 Screened porches keep you dry during times of inclement weather and protect you and your guests from annoying insects and the dangers associated with the sun. 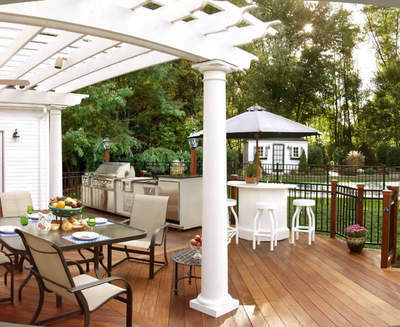 Having both structures will allow unparalleled enjoyment as these two spaces become one in your backyard setting! The homeowners are elated with their new outdoor living space. It is loaded with versatility and function and is designed for the way they want to live outdoors! Please visit our website and Houzz gallery for more examples of outdoor living combinations designed with YOU in mind! This entry was posted in Custom Outdoor Living Designer & Builder, Deck design, Decks, Outdoor Living, Outdoor living combination structures, Outdoor Rooms, Screened Porches and tagged Archadeck of Central SC, Archadeck of Central South Carolina, Central SC combination outdoor living spaces, Central SC deck and porch outdoor living combinations, Central SC outdoor living combination builder, Central SC outdoor living combinations, Columbia SC deck and porch builder, Columbia SC outdoor living combination designs on November 13, 2014 by archadeckofcentralsc. A wonderful outdoor living space is the key to a successful outdoor celebration! 41 million Americans will spend the July 4th holiday celebrating at someone else’s home. Which means most will be celebrating in the outdoor space of friends and family! 87% of American households have outdoor grills — the standard among food preparation in households for the 4th. 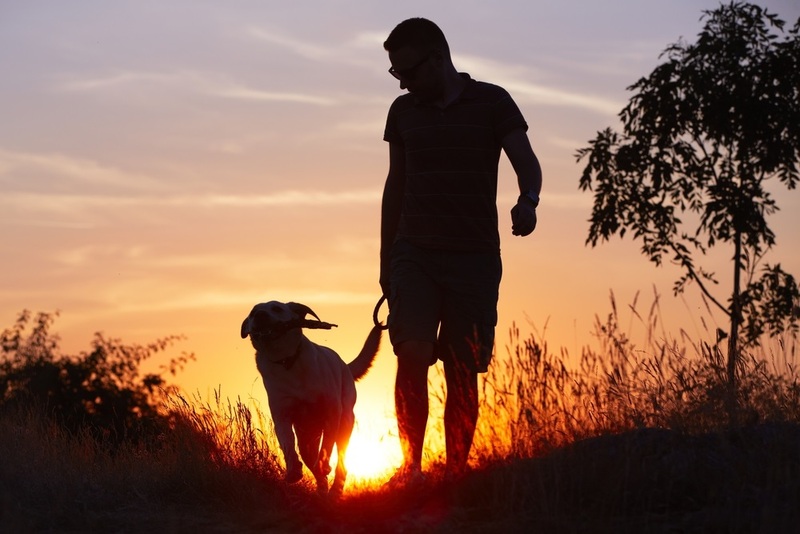 Americans consumer 150 million hotdogs on July 4th each year — wow! There are 700 million pounds of chicken purchased by Americans in the week leading up to July 4th! There are 190 million pounds of red meat / pork purchased by Americans in the week leading up to July 4th! 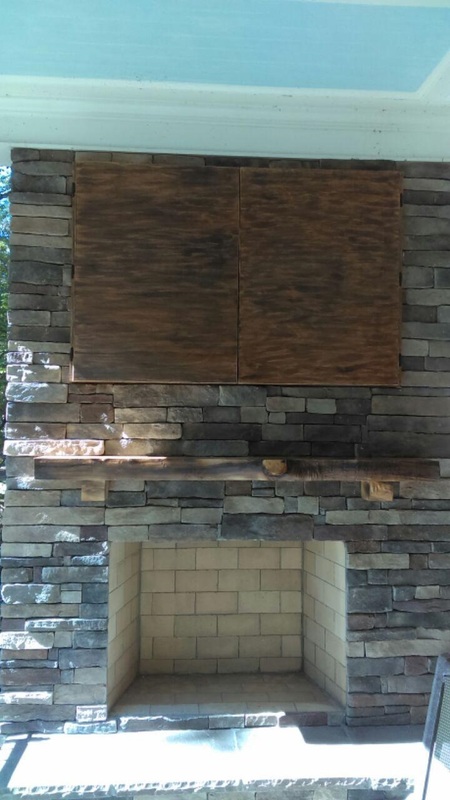 Rustic inspired outdoor kitchen with stone and granite combination. Based on these statistics, it is evident that one of the main ingredients to a successful Independence day celebration is having an ample place to prepare food outdoors, and plenty of space to enjoy dining outdoors as well! Gone are the days of simply relying on the company of a small deck and lone charcoal grill. Today’s outdoor living spaces can provide a wide variety of food preparation areas and outdoor dining spaces to suit any budget and taste! When I was growing up, the term outdoor kitchen (if the term even existed), referred to a barbecue on three legs set up on a drab slab of concrete off the back door which we called a patio. 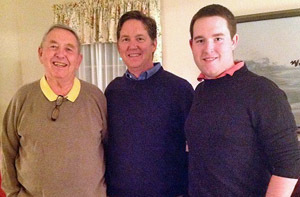 I can also remember Dad spending more time swearing at the non-functional equipment than actually grilling! Today, a host of innovations exist to make outdoor food preparation a positive experience. These include user-friendly spaces with weatherproof appliances geared to maximize the social space of the smallest and largest of outdoor areas. Go ahead and plan that outdoor celebration or dinner party! Fresh ideas in outdoor living continue to emerge and are redefining the concept of cooking and dining al fresco. Flow, and the efficient use of indoor/outdoor space are key ingredients in designing a successful outdoor kitchen. For example, if your outdoor area consists of a deck or patio, you want to unify the outdoor kitchen to complement these areas. Whereas an outdoor kitchen built within a covered porch might require more attention to traffic flow to and from the interior of your home, and any additional outdoor living spaces, especially if you entertain often. The sole purpose of an outdoor kitchen is to make the moment effortless, not a chore that requires running back and forth to obtain supplies. If you find yourself making frequent trips to your interior kitchen for ice, or to keep food prepared outdoors warm, maybe your kitchen design should include an ice maker on site and a warming drawer? 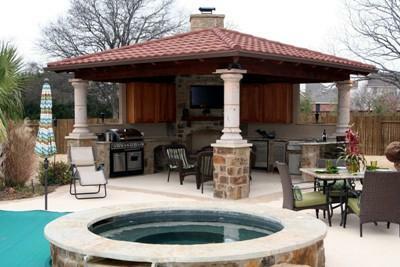 Making sure the proper amenities are included in your custom outdoor kitchen is where form and function meet. 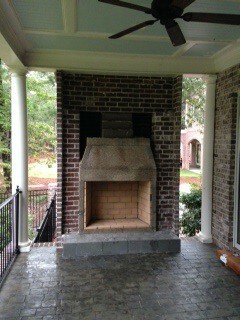 Upscale outdoor living begins with Archadeck of Central SC. 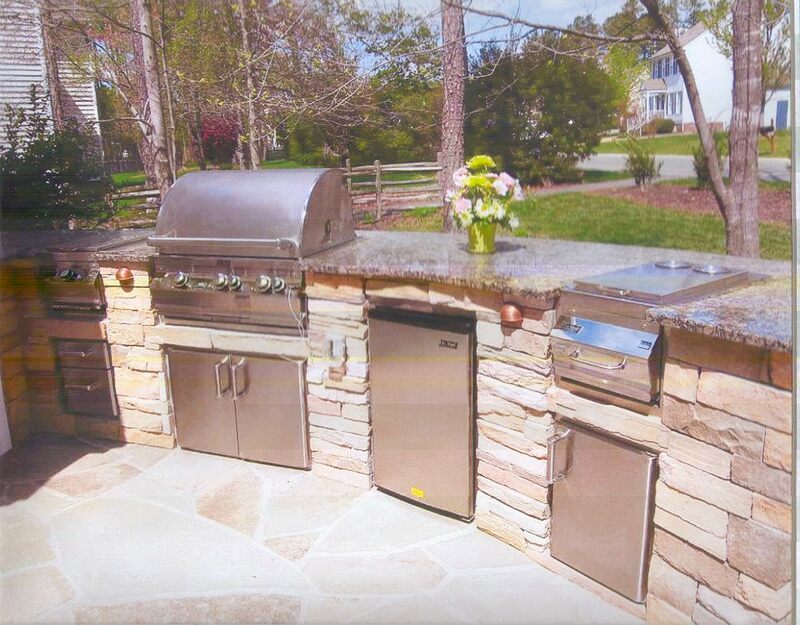 If you are ready to learn more about how an outdoor kitchen would enhance your outdoor living space, contact Archadeck of Central SC today. We are your one-stop shop for all your outdoor living design needs! Call (803) 603-2160 or email us at centralsc@archadeck.net. This entry was posted in Decks, Entertaining, Open Porches, Outdoor fun, Outdoor Kitchens, Outdoor Living, Outdoor living combination structures, Patio and tagged Archadeck of Central SC, Archadeck of Central South Carolina, Central SC combination outdoor living spaces, Central SC outdoor kitchens, Central SC outdoor living combinations, Central SC outdoor rooms, Central SC versatile outdoor living spaces, Columbia SC outdoor kitchens, Making your Columbia SC dream backyard a reality, Statistic Brain website’s 4th of July on July 3, 2014 by archadeckofcentralsc.